Our Office...Beautiful, Park-like Setting! If you're driving down Levittown Parkway from Route 13, you'll see our office on the left, immediately after you cross over Mill Creek Parkway. Just turn off Levittown Parkway onto Crabtree Turn. You can park either on Crabtree Turn or on Crabtree Drive, which runs parallel to Levittown Parkway by our office. Below are some photos from within our office, highlighting some of the technology we use to provide you with advanced care for your eyes and vision! Plus, there's a photo of our frame room. 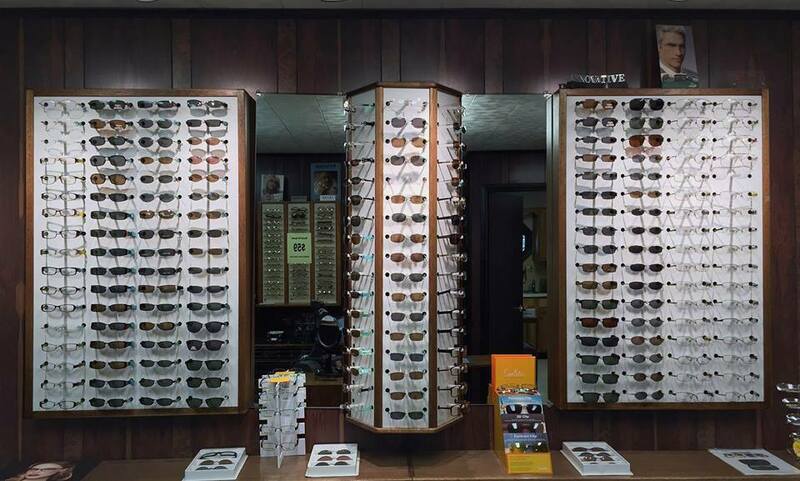 As you can see, we've got a large selection of frames with matching magnetic clips, where the sun-clip adheres to the glasses via discrete magnets. I like 'em for the convenience.